Statistics tell us that over half of married couples end up in divorce. This is sad, sobering news and even with the use of a pre-nup, the process of divorce is both emotional and difficult. There are large issues to decide when your relationship ends up in separation or divorce, and insurance may not be on the top of the list. Nonetheless, break ups have insurance issues to be resolved and so it should be on the list of items to be discusses and decided. While not all divorces are contentious, it is human nature to have anger, selfishness, revenge and pettiness sometimes show their faces when unraveling the marital assets. The courts and lawyers may hammer out the final decrees, but here are the insurance areas that need to be considered. If you had your health insurance through your spouse’s employer, then once your divorce is final, you have to get your own coverages. It is important that there are no gaps in the date of coverage from the time you leave the company plan to the time you start your own plan. The kids can stay on the company plan or go with your new plan depending on the custody agreement. The court may decide this for you as well as who will pay premiums if that becomes a new expense for you. Providing COBRA for the party no longer covered by the company plan is required of the employer for up to 36 months. The company must be notified within 60 days of the divorce. If you choose to go with the COBRA coverage offered by your ex’s company, you are 100% responsible to pay for those premiums unless the court assigns payment to your ex as part of the support agreement. It would be wise to shop around for a new plan before you just accept COBRA as prices for Health Insurance do vary. For a legal separation, it is the same as divorce but make sure you check to see what the company policy is when it comes to separation. Some companies only recognize a legal divorce, others treat separation and divorce as if they were the same. You or your lawyer should have the conversation with Human Resources before you start making any changes. If you find yourself in legal separation mode and the divorce is dragging, you are not obligated to keep the insurance on your ex unless the court orders it. If the court orders your spouse to keep the insurance in place, you can keep your current plan with the employer, unless the employer says no and then the spouse must get and pay for COBRA or another plan to not be in violation of the court order. Finally, for both separations and divorce – make sure you update the name and address on all documents and policies. If there are health proxies in place, next of kin notices, and contact names involved, these must be changed too. 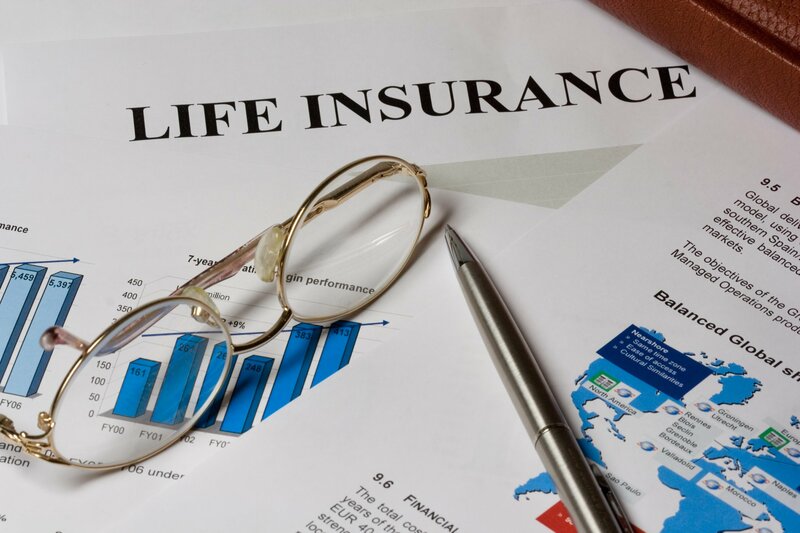 The purpose of Life Insurance is to protect the income of the providing spouse, with the beneficiary of benefits usually being the receiving spouse. Life Insurance replaces income to the surviving spouse if the providing spouse dies. Ownership is key on a life policy as only the owner of the policy can change the beneficiary and they have control of the policy’s cash value. This can become an issue with remarriage as there is no way to know what the ex-spouse/owner has done – even if actions were courted ordered because there is no method to monitor their actions. It may be best to take control of the life policy AND pay the premiums – which could be part of the divorce settlement. Again, names, addresses and beneficiaries should all be changed when the divorce is final. The house is always a big item to deal with in divorce. At the very least, one of you will have a new location in which to live soon. Home/tenant insurance must change from the one policy location you share, to now two policies covering where you both will live, contents you have with you and your personal liability exposures. Floaters or schedules should reflect the actual items each party ends up with when the divorce is final. An ownership change in the property requires a name change on the main policy. If the woman keeps the house but changes her name, that must be reflected on the policy too. If the change involves removing a name from the current policy, BOTH people should sign the request and it should be made in writing to avoid issues and one spouse removing another without their knowledge or consent. You lawyer should be able to help you with this if it becomes nasty. If each of you owns a car, titled in your own name, then it is an easy change. Each person will get their own policy in their name with the car they own. Update the name on the policy, the mailing address, garaging location and billing method. If both own a car, the title must be changed to show only the new owner. That person will have the insurance policy in their name for that car. If you have both owned the car and been on the same policy, you can not remove the other without their consent or remove the vehicle with their consent. Don’t make changes until the divorce is final. Change requests should be in writing, signed by both parties and include name changes, address changes, ownership change, garaging and usage change, and billing method change. This can be a big issue for the now single party because they will not have that automatic next in line person to care for them if something occurs. Changes here will depend on how the disability components are set up. Was it set up to compensate for lost earnings due to a disability or is it used in place of retirement benefits from work during the marriage. Review these issues with your lawyer to best decide on how or if the disability benefits will continue now. Long Term Care plans are individual policies and usually not impacted by divorce except for a name and address change and a married discount will be lost. Divorce is by no means an easy season, but there are plenty of people who have passed this way and they can give you great emotional support. When it comes to the legal issues, don’t hesitate to depend on your lawyer for help. And when it comes to insurance issues, don’t hesitate to call us to help you through it all. You probably don’t sit around with your friends and discuss life insurance, but it’s an important part of your financial portfolio. Learn why as you decide whether life insurance is right for you. A life insurance policy provides a financial payout to your survivors if you die. It’s a valuable tool in your estate planning portfolio since it protects your loved ones from financial stress or devastation after your death. Purchase a life insurance policy, and your surviving beneficiary can use the money for a variety of purposes. 1. Cover funeral expenses. The average funeral cost $7,045 in 2012, according to the National Funeral Directors Association. Reduce your survivors’ financial strain with life insurance funds that cover this necessary expense. 2. Replace income. Because your survivors depend on your income for basic living expenses, they’re at risk of losing their home, vehicle and other assets after your death. Your life insurance policy can provide your survivors with financial stability. 3. Repay debt. Student loans, credit cards, vehicles, mortgages and other debts can burden your survivors. Purchase life insurance, and the policy can repay debt and reduce the financial strain your survivors feel. 4. Pay estate taxes. After your death, your survivors will owe estate taxes on any assets you own. Instead of affecting their budget, they can use your life insurance funds to pay this expense. 5. Save for the future. Fund your children’s college education, help your partner start a business or support your parents’ retirement. Your life insurance policy can fund these and other future plans. Many people think life insurance is necessary only for parents of young children. After all, those survivors could face severe financial strain without adequate resources to provide for their basic needs. In reality, anyone who’s single, married, young or old benefits from the financial peace of mind a life insurance policy provides. Everyone’s life insurance needs differ, so you’ll want to evaluate your finances and situation as you decide how much life insurance to purchase. Consider what your life insurance funds will cover, how much money your survivors need to live comfortably and the premium amount you can afford. Your insurance agent can work through these details with you to ensure you have adequate protection that secures your loved ones’ futures and gives you peace of mind.